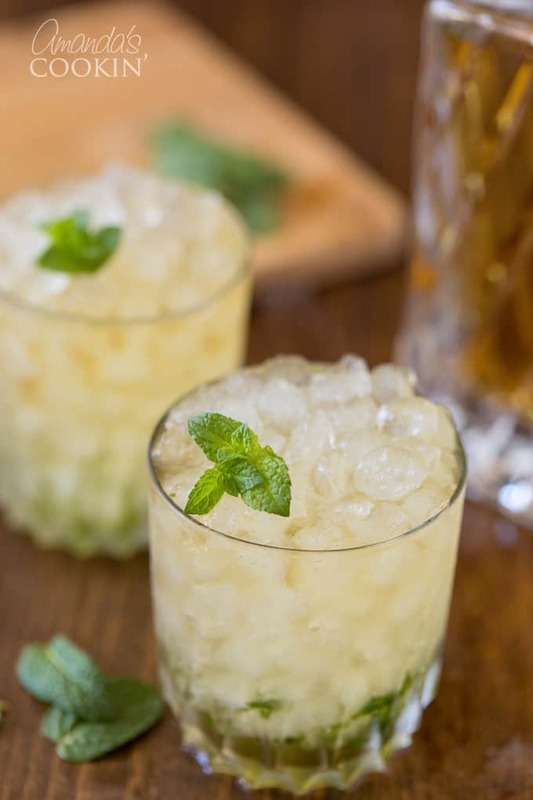 The classic Mint Julep is most well known because of its association with the famous Kentucky Derby. 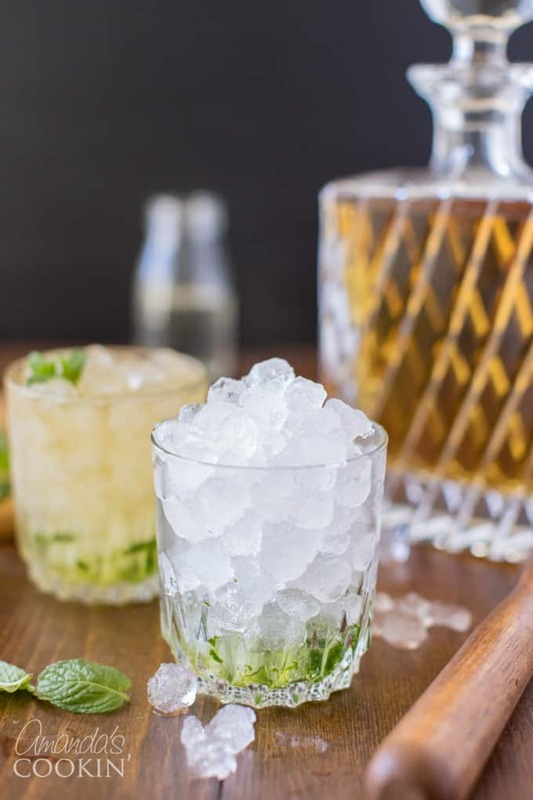 In fact the Mint Julep has been dubbed the signature drink of the Kentucky Derby for almost a century. The only thing that’s probably more recognized are the hats worn during this annual horse race! 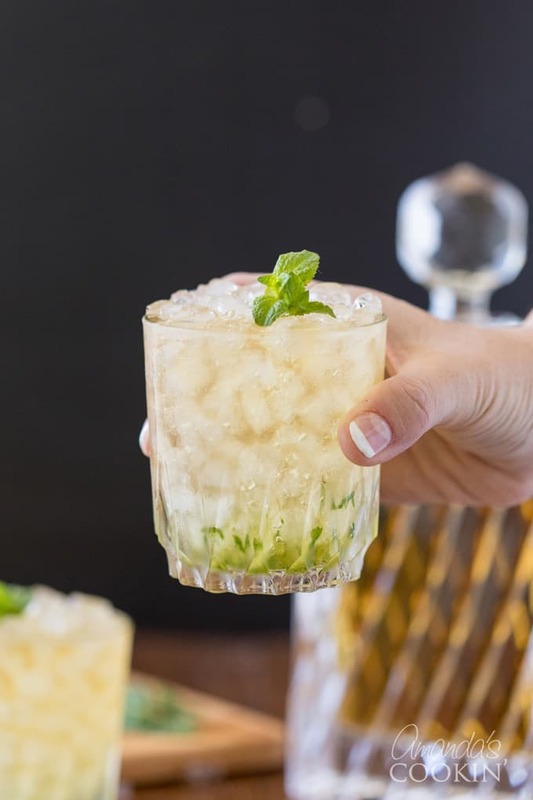 You can make this Mint Julep recipe at home and serve it in a highball glass. If you’re feeling especially festive, grab yourself some silver Julep cups! History presents that these silver cups were reserved for the rich, but these days your financial stature is no longer a factor. 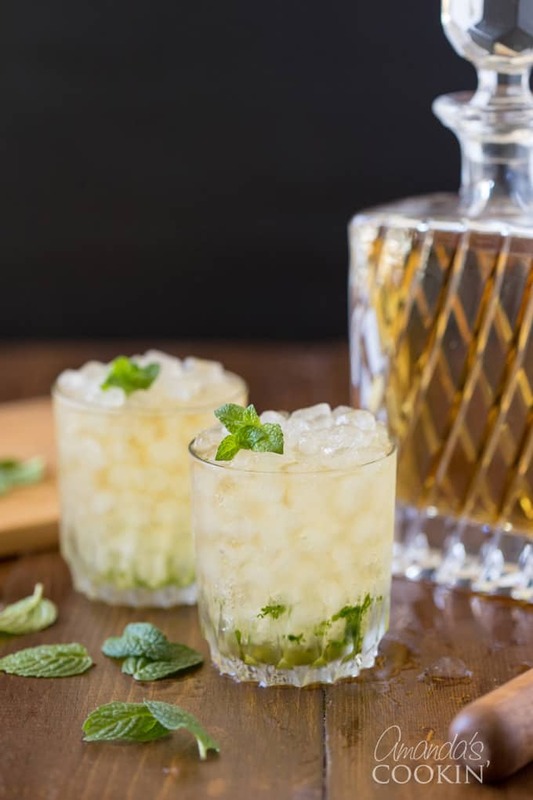 If you’ve never tried a Mint Julep it’s important to note that it’s not a fruity summer drink like a Mojito. Pretty much the only liquid in this drink is straight bourbon whiskey. 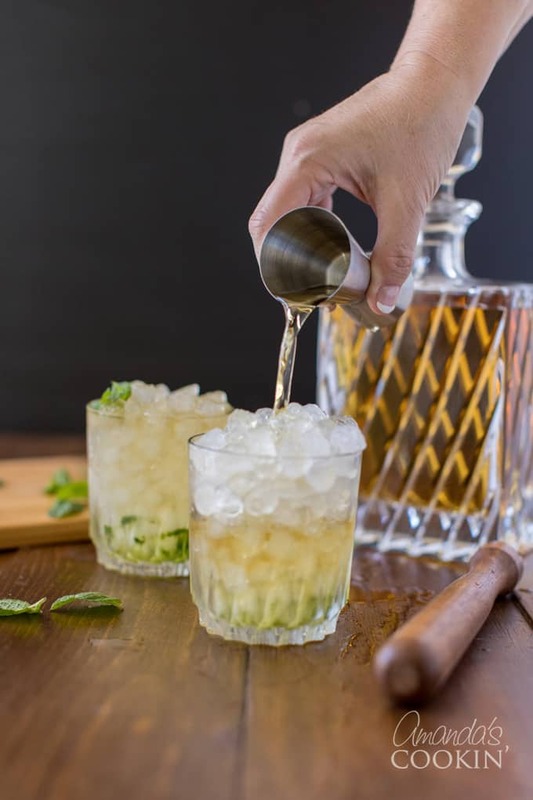 You can serve it in an old fashioned glass, like a highball or rock glass, or a silver Julep cup garnished with mint. If you want to be really authentic, get yourself a bottle of Woodford Reserve bourbon, the whiskey used at the Kentucky Derby. It’s built similar to an Old Fashioned in that the drink depends on a little simple syrup and the slow melt of ice in your cup. However, instead of the oils from an orange skin, a light muddling of mint adds to this famous cocktail. Note that we’ve used a bottle simply syrup, which is easier than boiling and cooling your own. However, you can make a mint simple syrup by mixing together 1 cup each of sugar, water, and fresh mint leaves. Simply bring the mixture to a boil and simmer for a minute. Remove it from the heat and let it steep for about 30 minutes. Strain out the mint leaves and store in a jar. 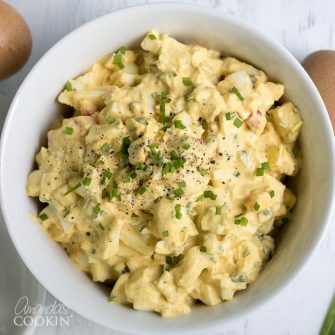 This might be a great solution if you plan on making many Mint Juleps for a derby party! 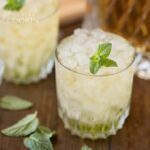 Add mint leaves and simple syrup to a glass. Gently muddle the mint leaves in the syrup, don’t crush them too much. A light muddling will extract the oil from the leaves, but working them too much will make your drink taste similar to toothpaste. Pour bourbon over ice and mix until the glass is chilled. Garnish with fresh mint leaves. It’s even better if you have the stems! Inserting the mint sprig into the drink brings out more of the mint’s flavor. Assuming you won’t be attending the live event, gather around the TV with friends to watch the big race. Don’t forget your hats for your derby party! If you enjoy classic drinks, try our French 75 and The Gimlet. 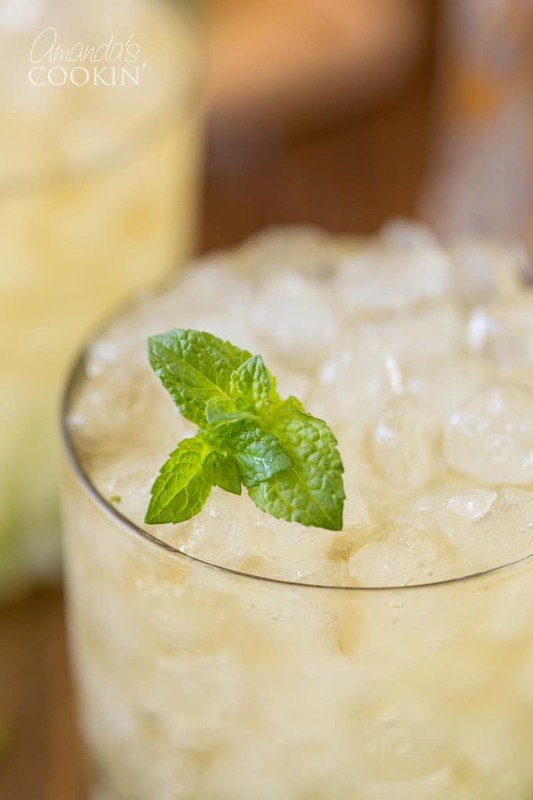 For another delicious summertime Kentucky drink, be sure to give the Lynchburg Lemonade a try. 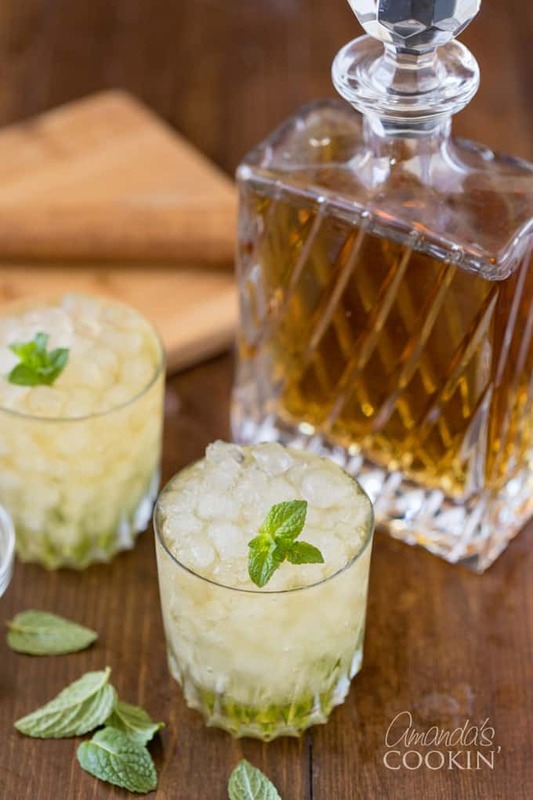 The classic Mint Julep is most well known because of its association with the famous Kentucky Derby. 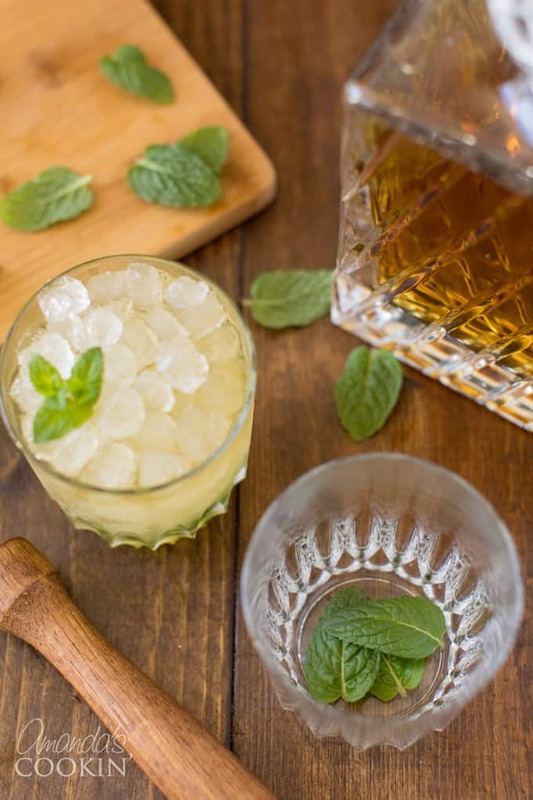 Add mint leaves and simple syrup to a glass. Gently muddle the mint leaves in the syrup, don't crush them too much. 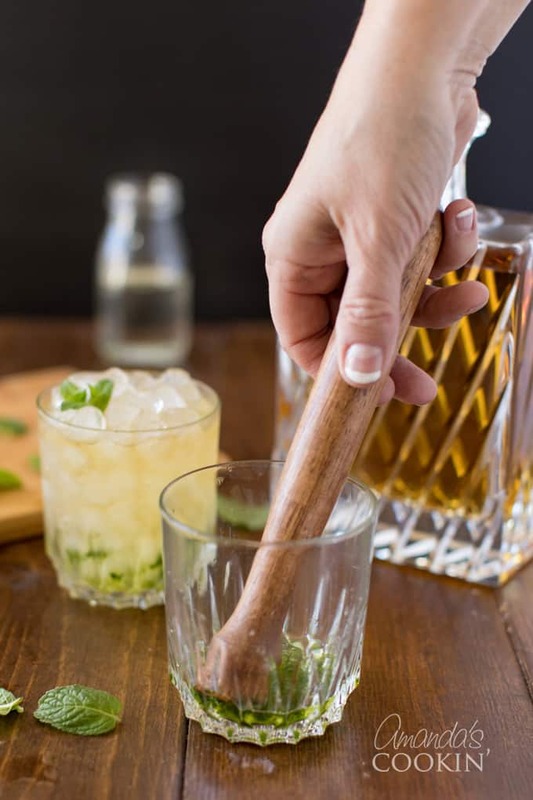 Garnish with mint leaves, inserting the stem into the drink. Much of the mint's flavor comes from the stem. A light muddling will extract the oil from the leaves, but working them too much will make your drink taste similar to toothpaste.